If you have long hair like I do, you probably consider drying your hair to be a total chore. I have fine hair that can get flat and greasy at the roots within a day, so I love to wash my hair pretty often to keep it looking decent. The problem is, I hate to dry it! The whole process can take just as long as my actual shower, which adds another 10-15 minutes to my morning routine. 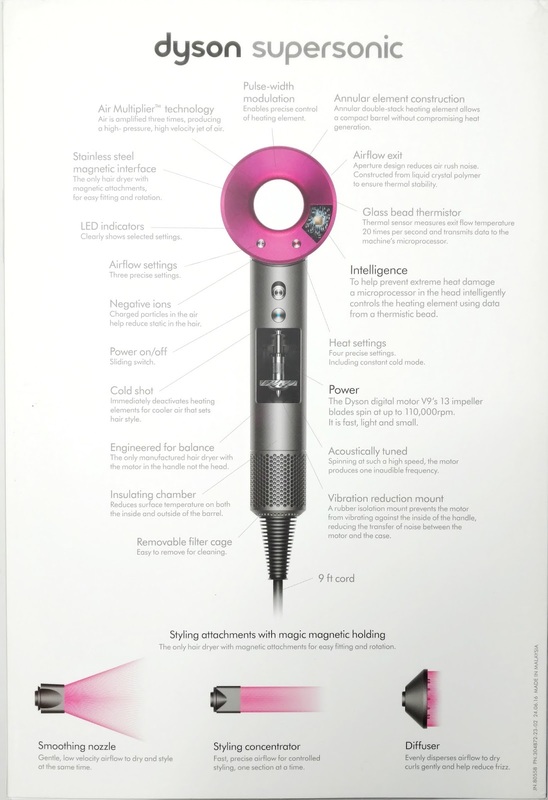 So when I recently had the opportunity to try the new Dyson Supersonic Hair Dryer, I jumped at the chance. Now keep in mind, it isn't cheap at $399...it's definitely the most expensive hair dryer I've ever owned. But just like their vacuums (which we also have in our house), the high-tech performance and results you get from using it helps to justify the cost quite a bit. Also, I had my last hair dryer for over 10 years, so it's not something that I purchase on a regular basis...and when I do, I want to make sure it's something that I love and will last a long time. 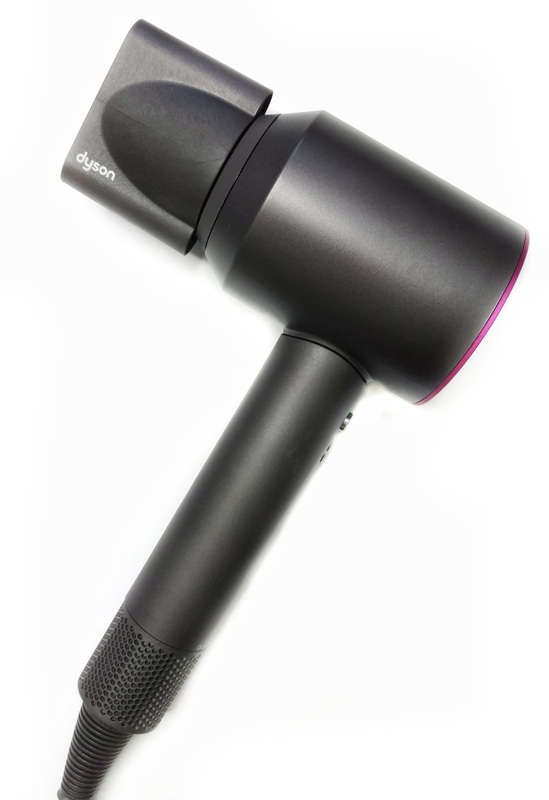 The Dyson Supersonic Hair dryer solves just about every complaint I've had when it comes to other hair dryers I've owned. The first being that's it's super lightweight and quiet! Dyson moved the motor into the handle, which helps to dampen the noise...I can actually have a conversation with my husband while drying my hair and I don't have to yell. 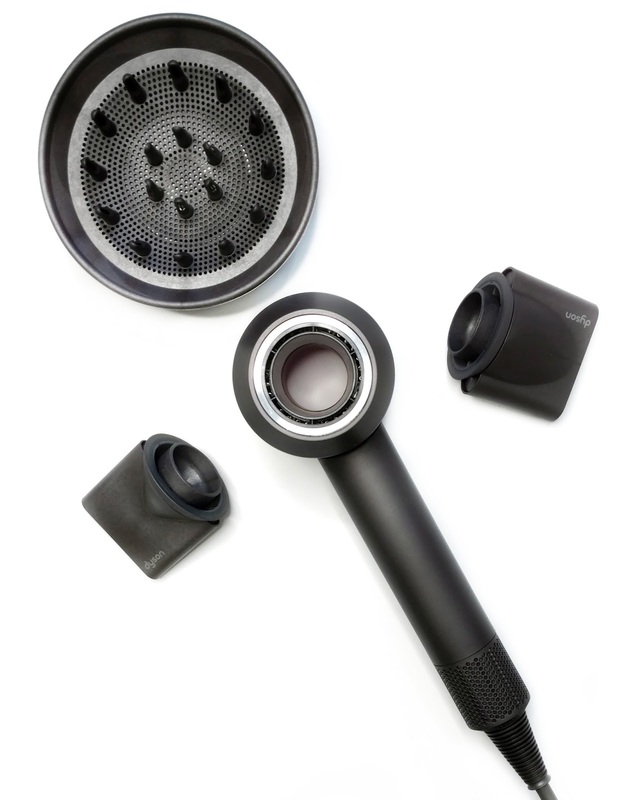 It also makes it feel more balanced in your hand, since it's not top heavy like other dryers. My arm doesn't feel sore at all after using this, which is a major bonus. You also don't have to worry about your hair getting fried...it has a sensor inside that measures the heat of the air flowing through, which prevents it from getting too hot and scorching your hair. There are three airflow settings and three heat settings, plus a cool button. I use the middle setting in both cases and it never feels too hot and dries my hair in record time. It goes from fairly wet (with just the excess water squeezed out with a towel) to completely dry in 5-7 minutes, which is half the time I would spend with my old dryer. If you have thicker hair than I do and it takes you 30 minutes or more to dry, this will be an even bigger timesaver for you. It comes with three extensions that attach magnetically...so cool! 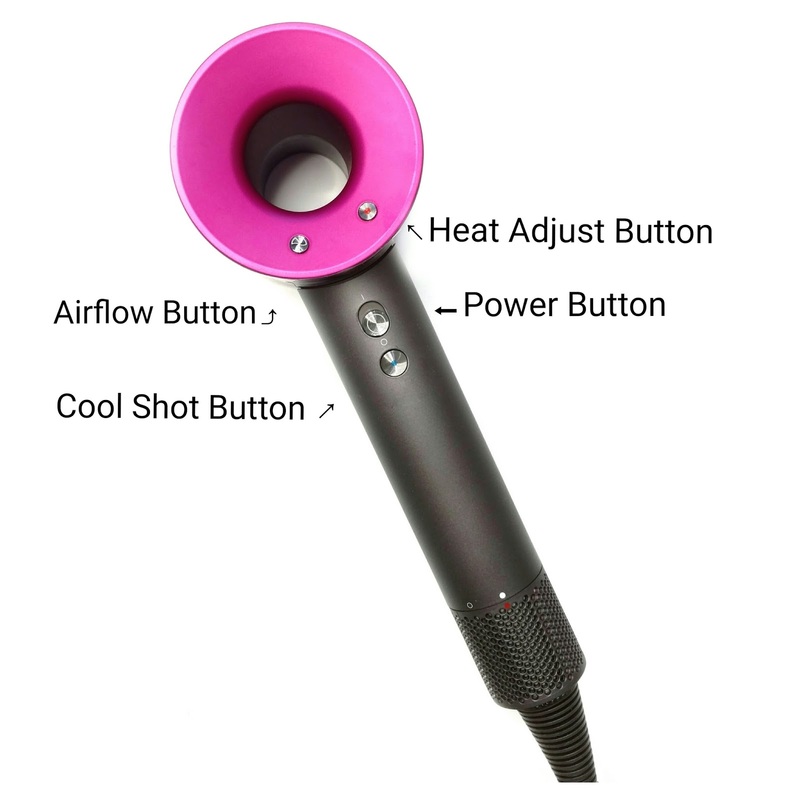 The smoothing nozzle allows for a wide, smooth airflow so you can style with a brush as you're drying. I use this one the most. The Styling Concentrator narrows the airflow so that you can focus on one section at a time without disturbing the rest of your hair. I use this one when I'm going to an event and I want to really take the time and make my hair look perfect. The diffuser is designed to disperse air evenly around every ringlet and simulates natural drying to reduce frizz and define your curls. 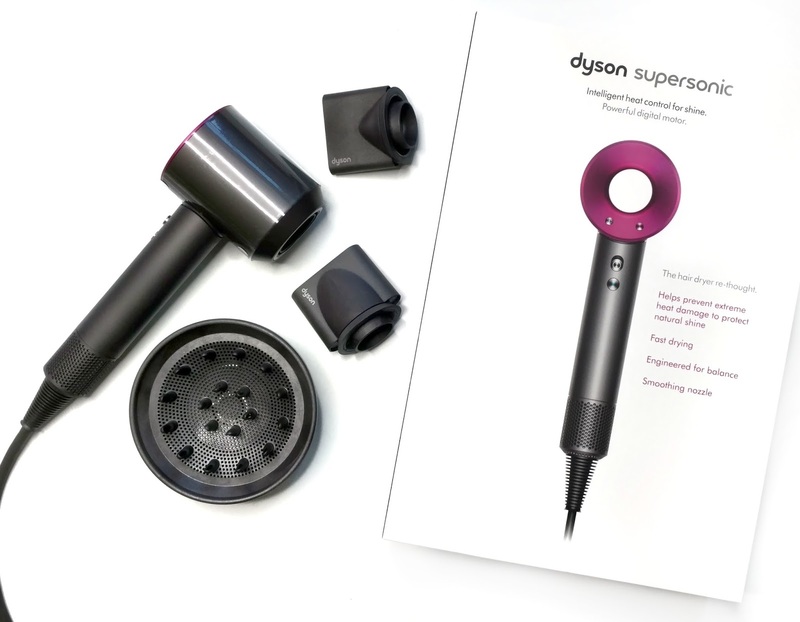 Overall, the Dyson Supersonic Hair Dryer is a big investment but iss worth it in my opinion, especially since I won't be purchasing another dryer for years to come. It's everything I could ever ask for in a hair dryer...lightweight, quiet, non-damaging, and lighting fast! I no longer look at drying my hair as a chore, especially when I can take a shower and have my hair dried all in a matter of 15 minutes! If you've had your eye on this but don't want to lay out the $399 all at once, I recommend buying it from QVC.com. They currently have it on 6 easy payments of $66.50 (you'll pay $66.50 to get it home and they'll charge your credit card every month in installments). Also, QVC has an amazing return policy, so if you aren't satisfied for any reason you can send it back. They also have a great demo on their site so you can see it in action! Wow I looked at this on the Ulta site about a month ago and was shocked at the cost of it. But I didn't realize that it did all of those things. Saving time in the morning would be a lifesaver for me! It takes me a good 45 min to dry my thick, wavy hair so I hardly ever do. I just twist it up in a bun most days. I also think it's genius that the heaviest part is the handle, makes sense! I will have to check it out on qvc, thanks! Thank God for Easy Pay! I don't use it that often but I love it for big purchases. 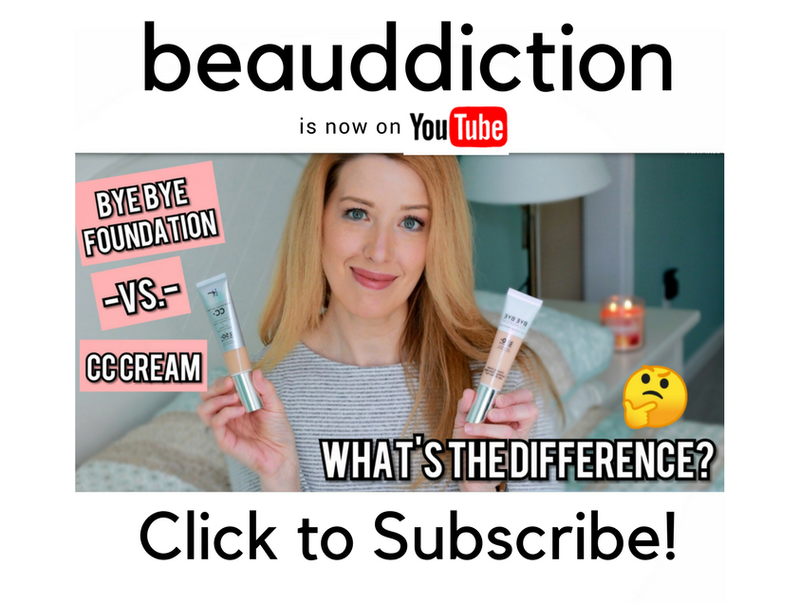 I wouldn't use it on something small but I used it to get my Clarisonic and sometimes for my high-end skincare purchases. Woah that is expensive for a hair dryer! But I have to tell you, we have the Dyson Animal Vacuum and it is the best one I've ever owned. There have been times when I didn't feel like dragging it out and used my lighter weight one then the next day the Dyson will pick up SO much dirt that the other one missed. Sorry to make this about a vacuum but my point is that in my experience their products are superior to others on the market. I would be 100% interested in this dryer if it were in my budget. Maybe I'll put it on my Christmas list, it's never too early!